When you look like Robert Redford, there’s an expectation that things will go your way. Hubbell Gardiner looks like Robert Redford and spends most of The Way We Were, Sydney Pollack’s glossy ‘70s romance, expecting things to go his way. Your man’s got blonde hair, blue eyes. At college, he rowed, threw a mean javelin and laughed his way through pickup football games. He’s charming, intelligent and gets paid to put words in actors’ mouths. By the end of the film, as he shares a few beers on the deck of his old friend JJ’s boat, he’s also a cheat who’s about to walk out on his family; a political inactivist who might lose his career to McCarthyism. But can he still crack a cold one and reminisce about his favourite Saturday as the California surf goes about its business? You bet he can. On Midwestern States, a pivotal song on the Menzingers' new LP, 'After The Party', Greg Barnett's compass is also pointing west. His words describe the boundless possibilities and encroaching hardships of being in a touring punk band, placing a couple with "worthless diplomas from worthless universities" on a path to that classic rock destination: anywhere but here. It’s an important moment on an album that has nostalgia on its mind constantly. As a whole it is a celebratory experience, reflecting on the band’s 20s (which are all in the rear view mirror now) as a means of driving home how much they love what they do and, by extension, each other. But here Barnett is at pains to remind us that rose-tinted glasses are hard earned. He doesn’t take Hubbell’s easy way out and it’s the grit under Midwestern States’ fingernails that makes the record’s other stories of lost evenings and romantic entanglements pop. But Julie is more than just a memory on a shelf. On Charlie’s Army she’s there again, waiting at a party as Barnett dodges a vengeful ex-boyfriend. “Tell your man I ain’t afraid to die, if loving Julie is a capital crime,” runs one of its addictive hooks (there are several). If Lookers’ setting makes you think Springsteen (Midwestern States’ highway-as-means-of-life-changing-escape also qualifies) then Julie’s reappearance hints at an inter-connected world ripe for exploration in the manner of Craig Finn’s work with the Hold Steady, where his recurring characters, Gideon, Holly and Charlemagne, inhabit a world beyond the band’s ‘everyday’ or personal songs. Barnett’s on board with that, so we might see Julie and her ‘After The Party’ castmates again in future. The history that drives ‘After The Party’ extends beyond the lyric sheet, though. It will be apparent to anyone who has followed the Menzingers’ progress since ‘Chamberlain Waits’ was released back in 2010 that it contains some of their best moves buffed to a fresh shine. It’s reflective, sentimental and liberally doused in the sort of hooks that make going to shows worth it. Its middle eights are monstrous singalongs, while its half-time moments are pogo-ready. Satisfyingly for the band, this refinement occurred despite the record having an open-ended writing period and many ideas entering the rehearsal space unfinished. They worked five days a week, noon to five o’clock (roughly) at Will Yip’s Studio 4 in Conshohocken, Pennsylvania for over a month. That freedom to experiment hasn't stifled them, it's sharpened their tools. Charlie’s Army, a song so alarmingly simple and enjoyable that it surely must have been meticulously engineered, actually came together in a flash. Barnett brought in the hook and basic verse melodies and two hours later they emerged blinking into the light in search of beers and burgers. The major difference, of course, is that the emotions on ‘After The Party’ aren’t as bloody as they used to be. 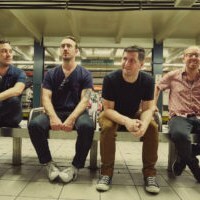 The Menzingers, as a band, are a decade old and used to their surroundings. They understand how things work and that their wrong turns, sleepless nights and break ups have added cement to their foundations. They are now in possession of some road-worn wisdom and they’re happy to pass that on. Philadelphia, as it did when they took their first steps in a city crowded with great bands, possesses a rampant, exciting punk scene pocked with emerging groups like Cayetana and Petal. The Menzingers are elder statesmen these days and Barnett takes that responsibility seriously. So, the party ain’t over. It’s just changing gears. At this stage you might expect the Menzingers to get a little heavy-lidded around midnight, but that’s not their style. There will be more shows. There will be more beers. There will be more singalongs. There will be more miles on those jean jackets. There will be more grey around the temples and few complaints. 'After The Party' is out on February 3 through Epitaph. The Menzingers have released a new single, The Freaks. 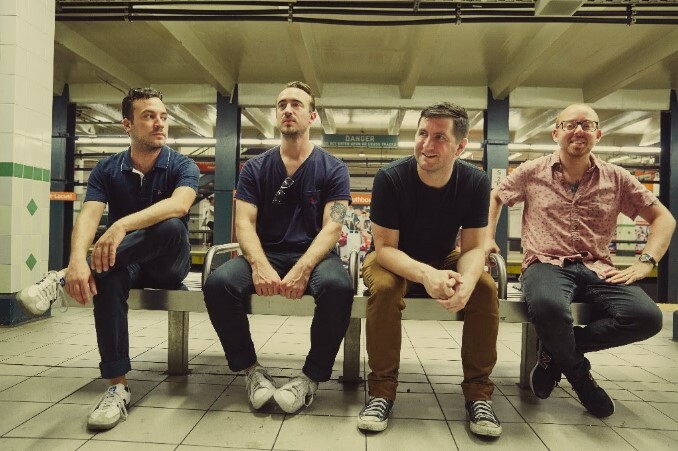 The Menzingers have released a surprise new single. The Menzingers have announced a summer London date with a stacked supporting bill.